Some mornings my tea just doesn't cut it. Being a tea fanatic means that I have been keeping less coffee on hand. Now, for a recovering coffee-holic like myself it is a requirement to avoid having it on hand or else I'd just end up trying to figure out how to straight line it into my veins. Still, there are just some days when a good cup of Joe is what a person needs to get through the morning and turn a bad start into a good afternoon. 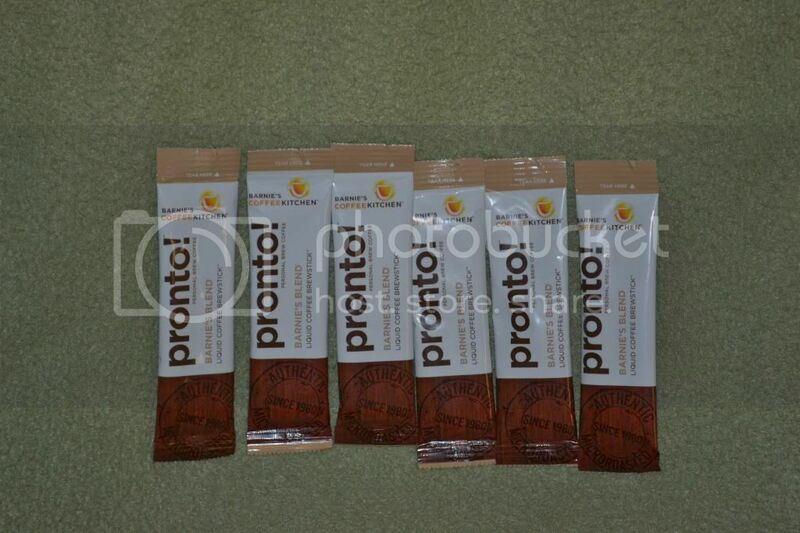 Mommy Moment's with Abby's review of Pronto Coffee: Now, before I had kids it would have been a sin to me not to have that starter cup of coffee. Once I became pregnant and had a high risk pregnancy due to vomiting and weight loss issues the coffee became nixed. In an attempt to keep healthy I've been switching to tea lately. That said, there are days when I just must have a cup of coffee to help me get through a rough morning or to treat myself after a long week. The hard part is that in order to have a cup I either have to pay through the nose for it, or keep a larger stash than my will power would allow for. I was very excited to check out this review since it offered a single cup (keep my will power in check, but still get that treat that I've been looking for) with the large brewer flavor. It comes in liquid form so you don't have to worry about having those little grains left over from a lot of instant coffees. 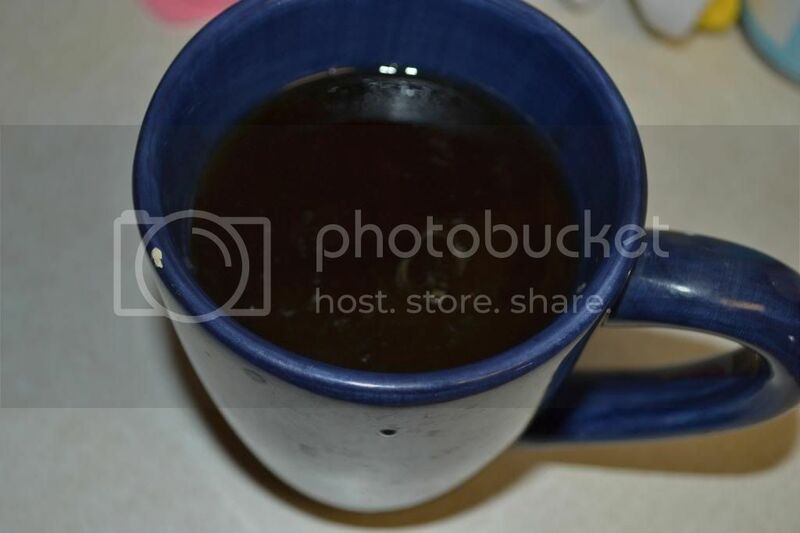 I think the liquid also allows for a more even blend with the water I added to it to create my treat cup of coffee. It tasted as rich and well blended as the cups that I would have to drive and pay through the nose for, but didn't come with the same extreme price tag! Better yet, I didn't have to pack up the kids and leave the home to grab a cup if I needed or deserved one. The bad part of this coffee is that it is so convenient, not helping my will power issue regarding coffee at all! 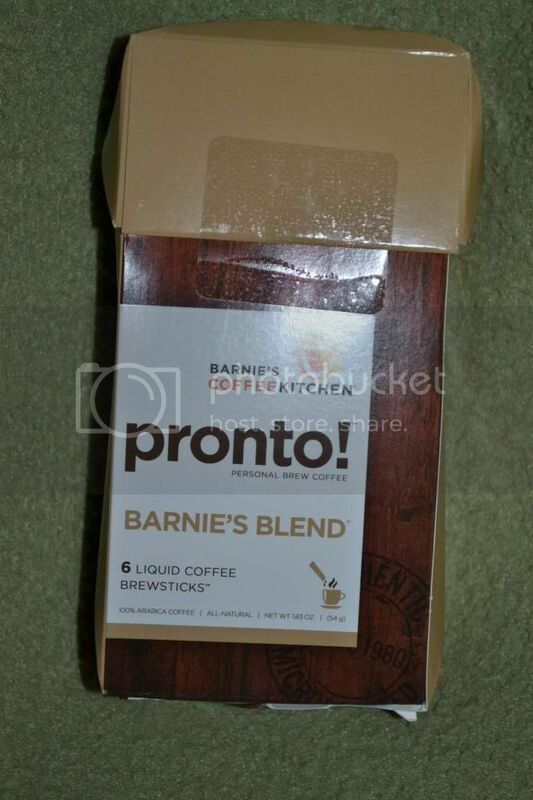 Product Description: Barnie’s Blend® is their signature combination of prized South and Central American coffee beans. This delightful and comforting blend is sweet, balanced, and full-bodied with a well-rounded character that is pleasing anytime. Directions: Add one brewstick™ to 10oz of hot or cold water. Stir and enjoy. Barnie's CoffeeKitchen Pronto!™ is a concentrated liquid coffee made from 100% arabica beans that allows you to be the barista! As delicious as freshly brewed coffee. Explore the world of coffee in an instant! All Natural, 100% Arabica Coffee. Box contains 6 Liquid Coffee Brewsticks.